Gary Rohrbach of Gary's Tree & Shrubbery Service, Inc. was given the accreditation award at the Winter Management Conference of Tree Care Industry Association on February 7, 2005. Gary's Tree & Shrubbery Service is the first tree care company in Pennsylvania to receive this award and is the fourth company in the country to become accredited. Gary's Tree & Shrubbery Service currently have two certified arborists. These professional arborists have a minimum of three years of experience in some aspect of tree care and have passed an exam developed by an international panel of experts. The company holds a Pennsylvania Pesticide Applicators License #BU4621. We also have tree surgeons licenses for Allentown, Bethlehem, and Easton and all of the local townships that require licenses. Gary's Tree Service has been a part of the Lehigh Valley community since our founding in 1973. We are a proud member of the the Lehigh Valley Chamber of Commerce. We have been a member of the community since our founding and we give back to the community through buying from other local companies and through our charitable donations. Through choosing our services you are choosing to make an investment back into our local economy. for donation of trees, and an educational program about trees held at the Hillside School. TCIA bestows awards annually for outstanding professional performance in preserving the health and beauty of trees. GTSS was honored for its exemplary tree care work at the residence of Mr. and Mrs. Jeff Beich of Bethlehem, Pa. We performed tree removals, crown thinning, and natural pruning and rejuvenating of shrubbery. Gary worked for a small tree company during his high school and college years. After graduating from Shippensburg University in 1973 with a business degree, Gary started his own business with a used red 1969 Dodge pickup and rented barn space. That summer he added his first employees. By the second summer he acquired his second truck, a new blue and white Dodge pickup. Since 1974, all the trucks have been painted blue and white with the company logo. The second truck enabled Gary to expand his workforce. Doug Delong, one the first employees, is now the operations manager. In 1975 the company moved from the rented barn to its present location in Upper Milford Township. 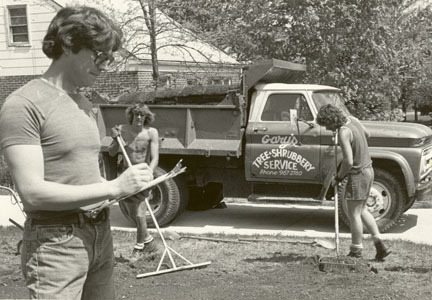 In 1979 Gary's Tree & Shrubbery Service purchased its first tree truck and began to focus primarily on tree maintenance. For the next decade the company added bucket trucks, stump grinders, backhoes, front-end loaders, and spray trucks to expand the ability to better serve customers' tree-care needs. During that time, for approximately seven years, Gary's Tree Service in conjunction with Penn State, monitored the pest population in the university's Integrated Pest Management Program. By monitoring weather conditions and collecting pest counts, the program helped local applicators determine the optimal time to apply treatment for specific insect problems. At the same time, the company began to stress, through education, proper techniques for pruning and caring for trees. In 2016, Gary’s Tree and Shrubbery Service became a division of Bartlett Tree Experts. Our employees pride themselves on performing the best quality tree care and strive to meet the company's philosophy of complete customer satisfaction. 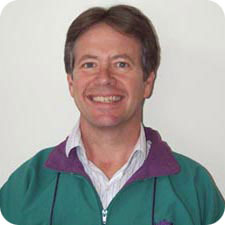 Gary started Gary's Tree & Shrubbery Service Inc immediately upon graduation from Shippensberg University, in 1973. He majored in Business Administration and has taken many horticulture correspondence courses from Penn State University. His philosophy from the beginning has been to provide prompt and reliable service. Gary has served as treasurer of the Pennsylvania-Delaware Chapter of the International Society of Arboriculture and is a member of American Society of Consulting Arborists and a graduate of the Arboricultural Consulting Academy in 1996. He lives in Emmaus with his wife, Dee, and two children. 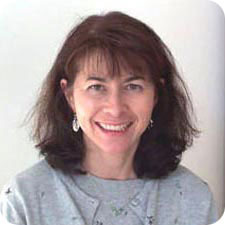 Dee started with the company originally doing all the secretarial and bookkeeping in 1975. She has a Bachelors Degree in fine arts. After two years studying Landscape Architecture at Temple University, she returned to the business as a landscape designer. She likes to incorporate year-round color in her designs. She has taken a course with James Van Sweden and James Brookes in Europe. Dee loves to travel and visit gardens in all parts of the world with her husband and their two children.